Practical Application: Used to escape from police at the Little Bohemia Lodge in Manitowish Waters, Wisc. Dillinger bashed out his own rear window so he could use his machine gun against pursuing police. 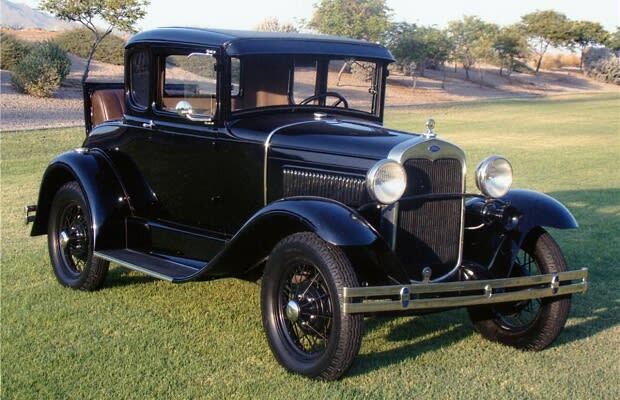 This actual car was used in the filming of Public Enemies, the 2009 film about Dillinger, Baby Face Nelson, and Pretty Boy Floyd, which starred Johnny Depp and Christian Bale. The bullet holes were temporarily covered for filming.